Are you tired of blenders that just don’t work right, or can’t handle a specific ingredient? Well, if you need a nice blender that can handle a large variety of ingredients, the Vitamix Heritage 750 might be a good option for you to go with. It is designed to be wide and short, with a low profile to easily store in small spaces. It has 5 easy programs and 10 variable speed settings and a pulse feature. The controls are highly intuitive and easy to use. The blending jar is made to last and the specially engineered stainless steel blades are about as tough and sharp as can be. Overall a powerful, but compact blender that can blend or pulverize just about anything you'd need done in the kitchen! If you need a simple but effective blender, the Vitamix Heritage 750 might be the right choice for you. Its biggest benefit is that it can handle ice, hot foods, hot liquids, and it can turn coffee beans into grounds. In other words, no matter if your ingredients are hot, cold, frozen, or dry, the Vitamix Heritage 750 can handle it all. It’s a great all in one blender with a whole lot of functionality. Yes, of course it is loud, as most blenders are, but it definitely gets the job done. If you have limited kitchen space, but need a fairly large blender for making large quantities, the low-profile design of the Vitamix Heritage 750 might work for you. With that being said, it does cost a fair amount of money, so it’s not something you will want to buy for occasional use. When you buy the Vitamix Heritage 750, there are a few things that you get. First off, you obviously get the blender base, complete with user-friendly and highly intuitive controls. Moreover, you also get the blender container itself, which is a high-quality 64-oz. container, which is quite large as you might recognize. On a side note, this blender is designed to be wide and short, so it has a low profile, which helps make it easy to store in small spaces. 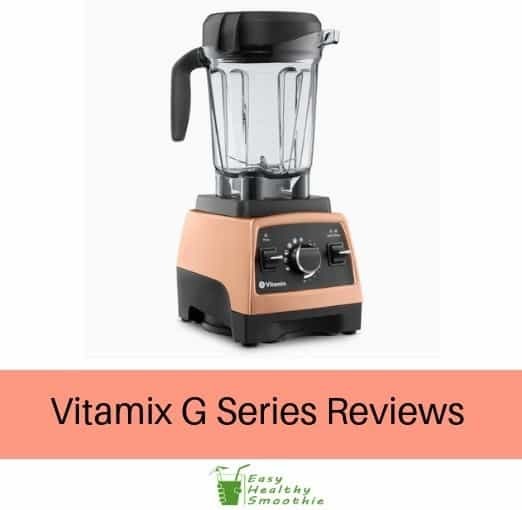 What we also like is that this Vitamix Heritage 750 blender also comes with a cookbook and a DVD, both of which will provide you with different recipe ideas that can be made with this blender. The warranty included here is not too bad either. In terms of features, the Vitamix Heritage 750 surely does have a high level of functionality. It is not the biggest blender around, but it can handle many different ingredients. First off, you get a variable speed control dial, which is great for a variety of purposes. Some mixes need a slower speed, while others need medium, and others need a fast blending speed, all of which are accounted for here. The Vitamix Heritage 750 also comes with a convenient pulse feature, something which is often necessary when you want to efficiently blend and mix certain ingredients together. You might also like the fact that it comes with 5 pre-programmed settings, all ideal for specific uses. The settings allow you to make hot soups, smoothies, dough, batters, dressings, frozen desserts, and many other things. The Vitamix Heritage 750 can even turn nuts into fine powder and coffee beans into grounds and get them ready for quick use. The Vitamix Heritage 750 is self-cleaning. Now, it does not exactly come with a self-cleaning function, but all you have to do is pour some hot water and dish soap into the blender and let it run on its highest speed for about a minute, empty it out, rinse and dry. Speaking of the blending jar, it is made to last for a long time, and its 64-oz. capacity means that you can make some fairly large quantities of smoothies at once. Going back to durability, the specially engineered stainless steel blades are about as tough and sharp as can be, thus making quick work of anything that you put in their way. We personally like how the package comes with a DVD, a cookbook, and more, plus even a pretty good warranty as well. It might not be the most visually attractive blender out there, but it certainly gets the job done. If you need a good blender for all of your needs, we would definitely recommend checking out the Vitamix Heritage 750. It might be a bit loud and pricey, but it will blend virtually anything that you put into it.